This book is about equity in health and health care. 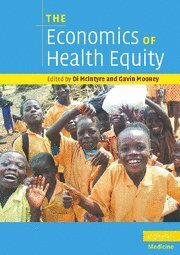 It explores why, despite being seen as an important goal, health equity has not made more progress within countries and globally, and what needs to change for there to be greater success in delivering fairness. Di McIntyre is Associate Professor of Health Economics in the Health Economics Unit at the University of Cape Town, South Africa.